David Belyea, MD, MBA, FACS is board-certified in Ophthalmology. He is the vice chair of the Department Ophthalmology, director of Glaucoma Services, and a professor at The George Washington University School of Medicine & Health Sciences. 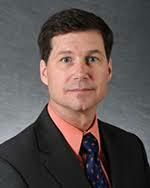 Dr. Belyea received his medical degree from Tufts University School of Medicine. He completed his internship and residency at the Letterman Army Medical Center and his fellowship at the California Pacific Medical Center. He is board-certified in Ophthalmology and his clinical interests include Glaucoma and Cataract Surgery. Dr. Belyea has held multiple academic positions throughout his medical career, received six teaching awards, and has been published in numerous publications.